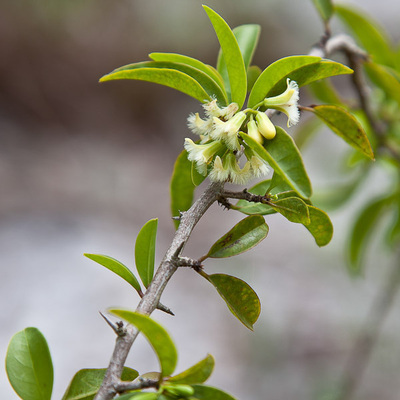 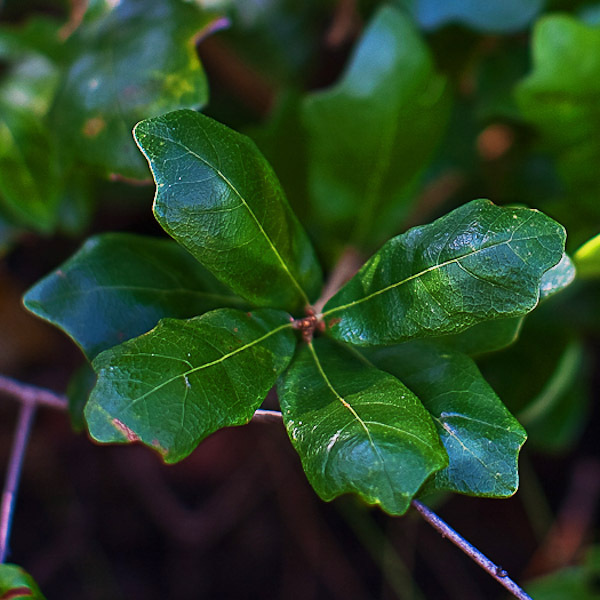 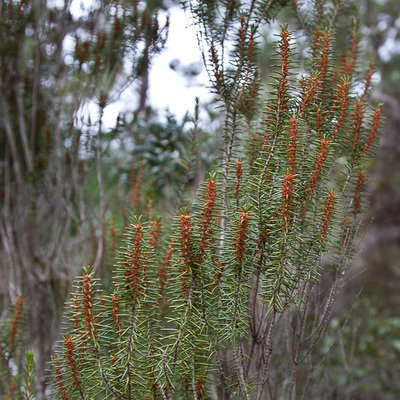 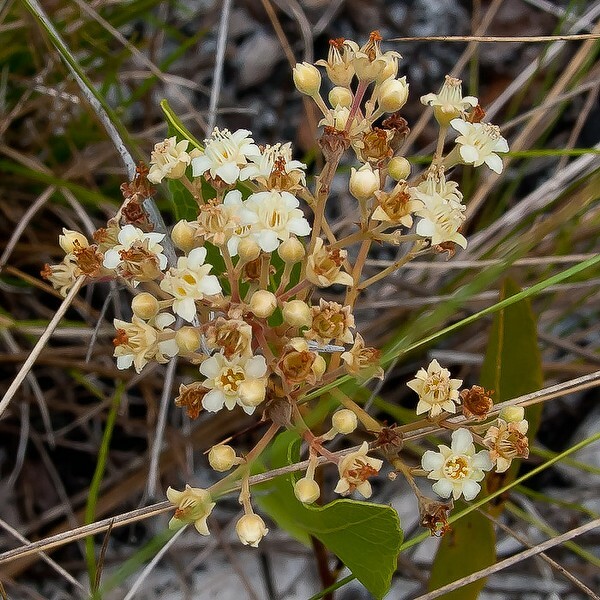 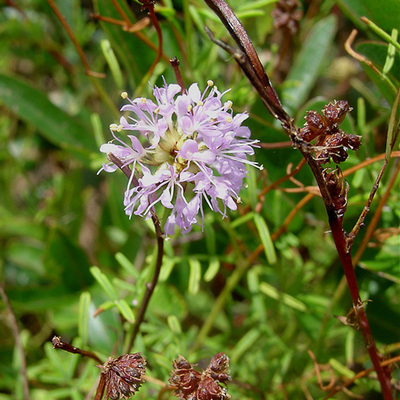 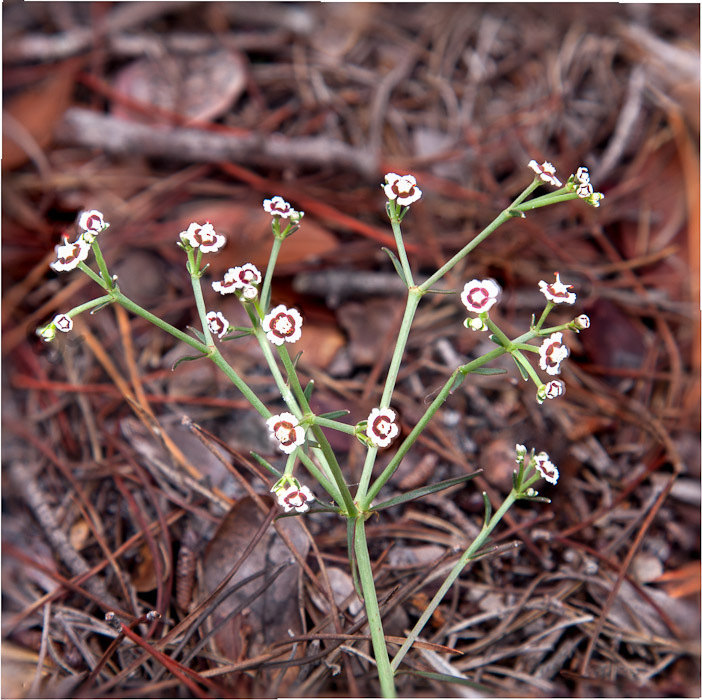 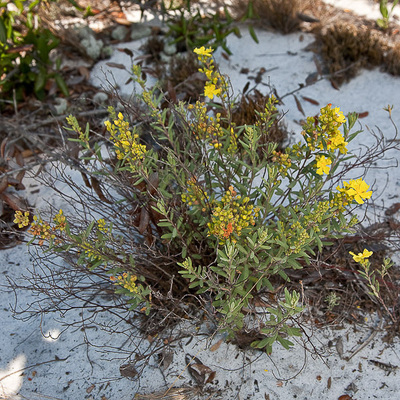 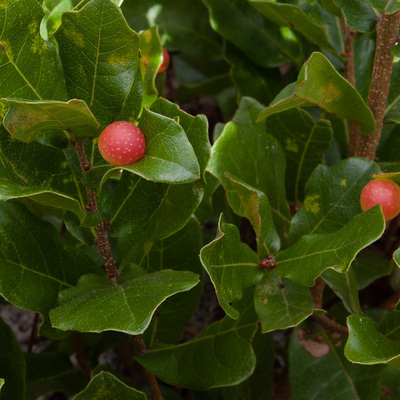 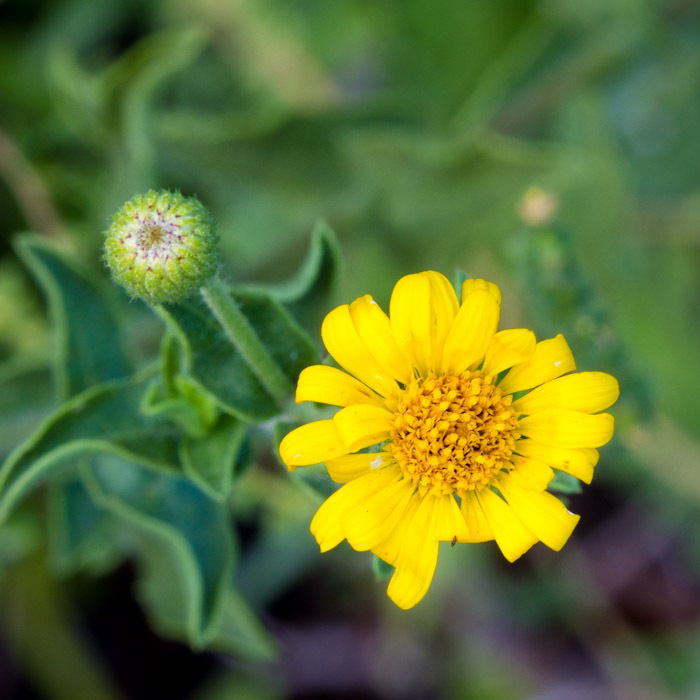 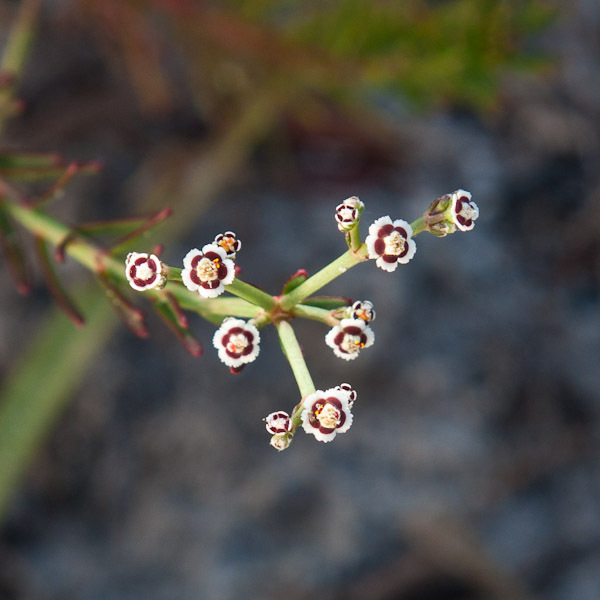 This is the first “Gallery of Scrub Species” which will serve as a reference source for the identification of plant species found in the scrub. This photo sequence includes the species whose common name begins with the letters A thru L. No need to memorize all this, but it may help you explore. 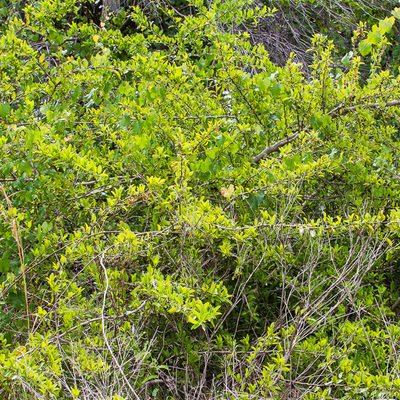 Suggestion: print it and take it to the field with you. The rest of the alphabet is in next week's reference gallery. 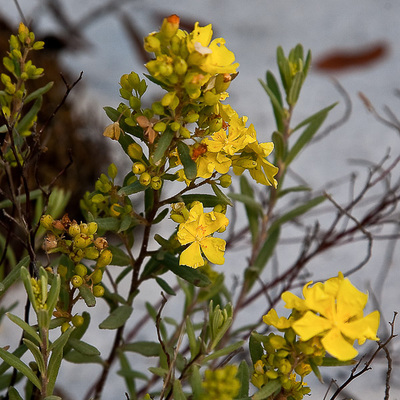 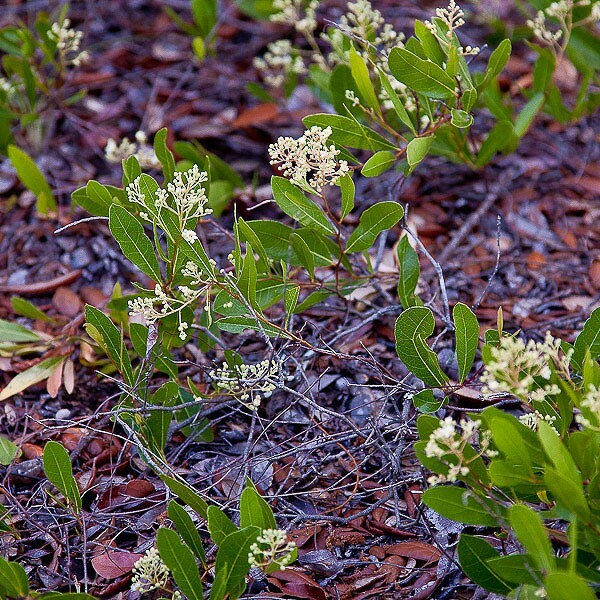 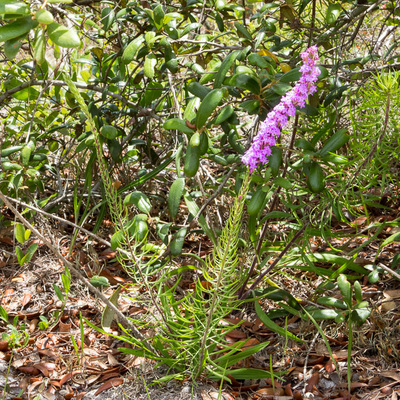 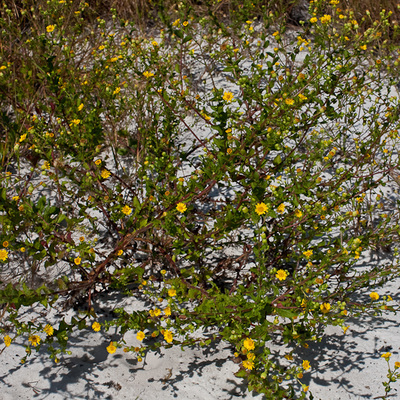 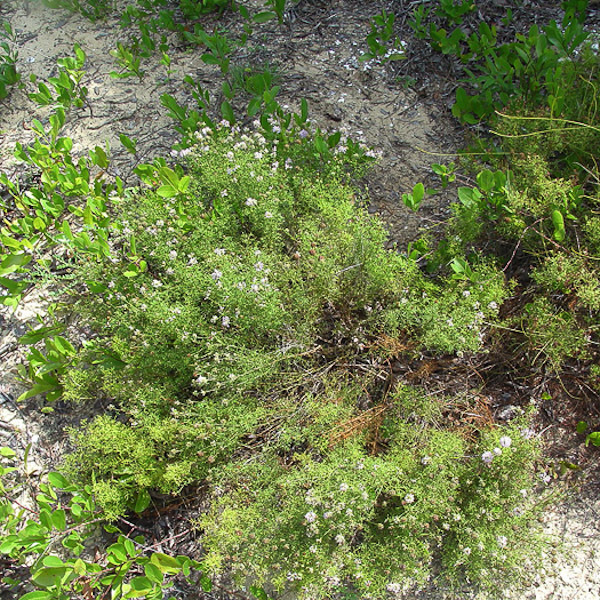 Fuzzy and fragrant, on scrub sand. Liatris differs from Carphephorus by usually having the flowers in a vertical, narrow spike. 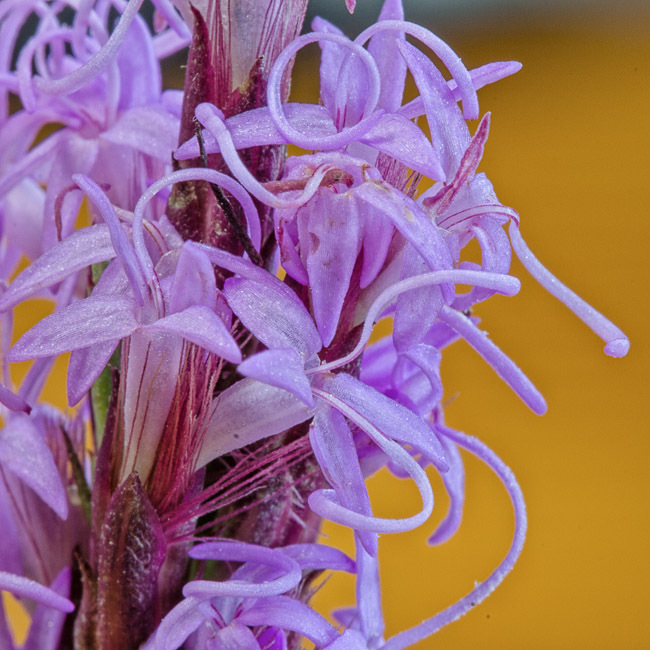 We have a few species of Liatris locally. 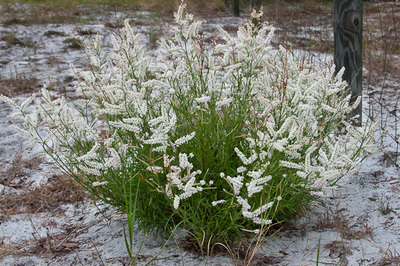 Flowering mostly late summer or autumn. 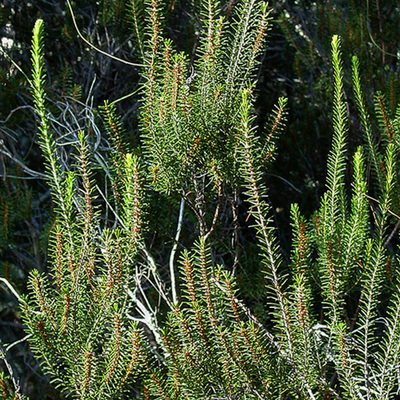 Leaves broadest above middle, often 3-lobed, glossy on top. 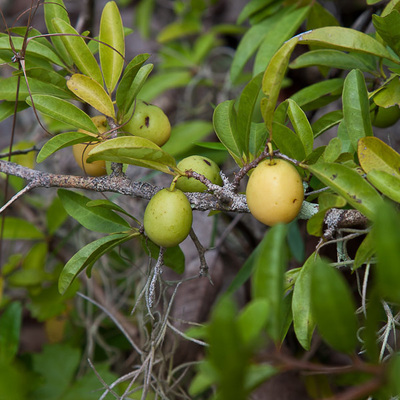 Closely related to Cocoplum, Gopher Apple is much smaller, usually just a foot tall. 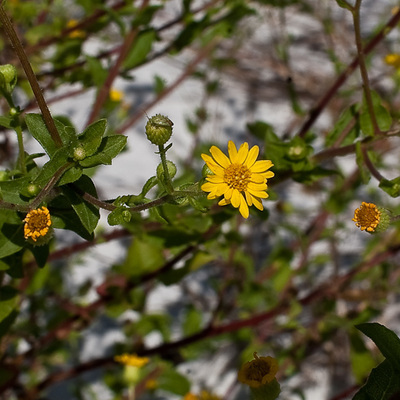 Gopher Apple spreads like a groundcover on sand and is usually abundant where it occurs. 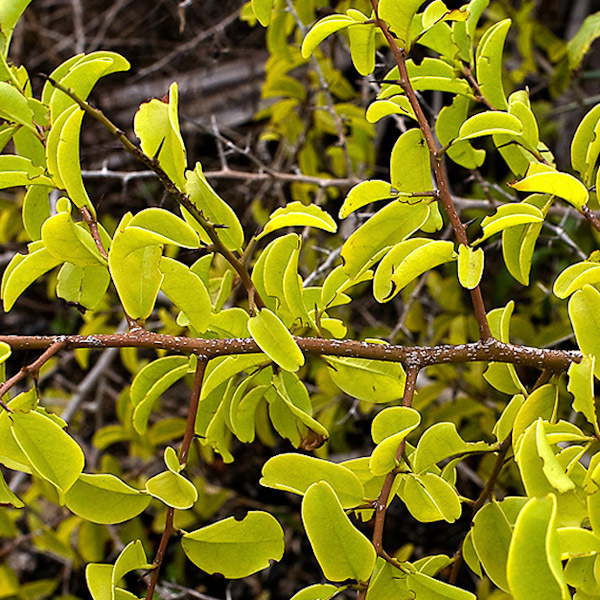 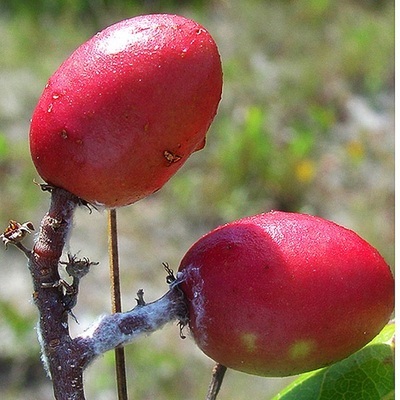 You see resemblance to Cocoplum in the leaves, flowers, and fruits. 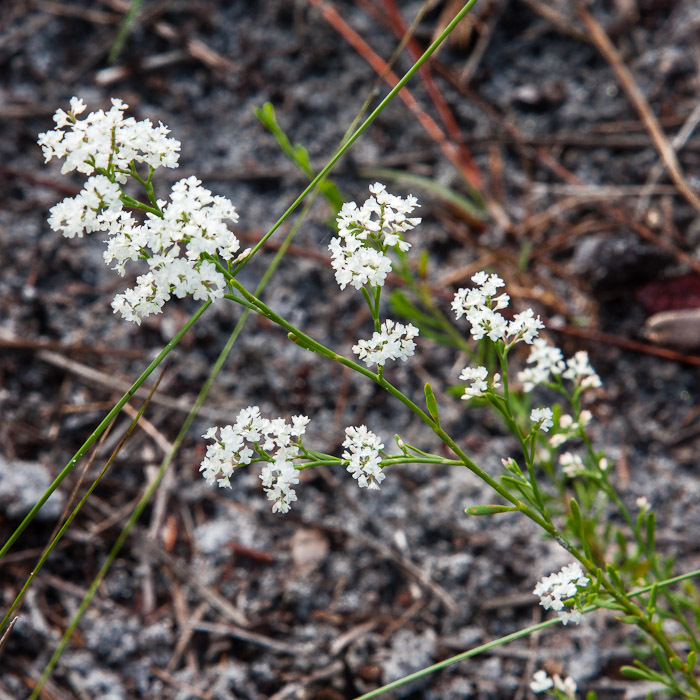 The name Gopher Apple refers to Gopher Tortoises which eat the fruits. Thorny! 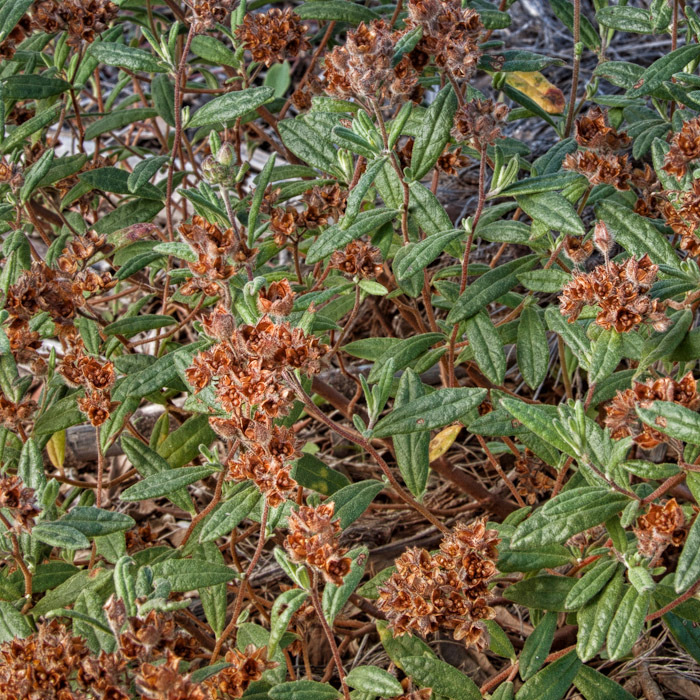 Tough Bully a little bit similar but with leaves brown underneath. We have multiple species locally. 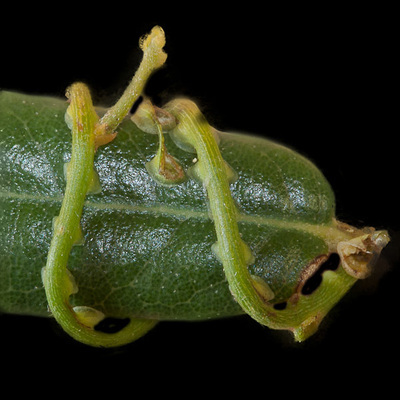 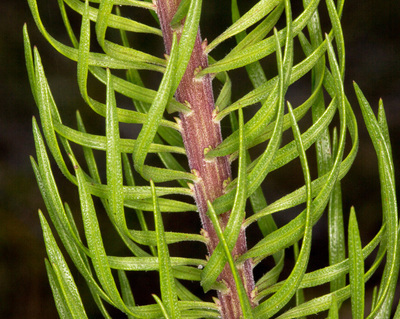 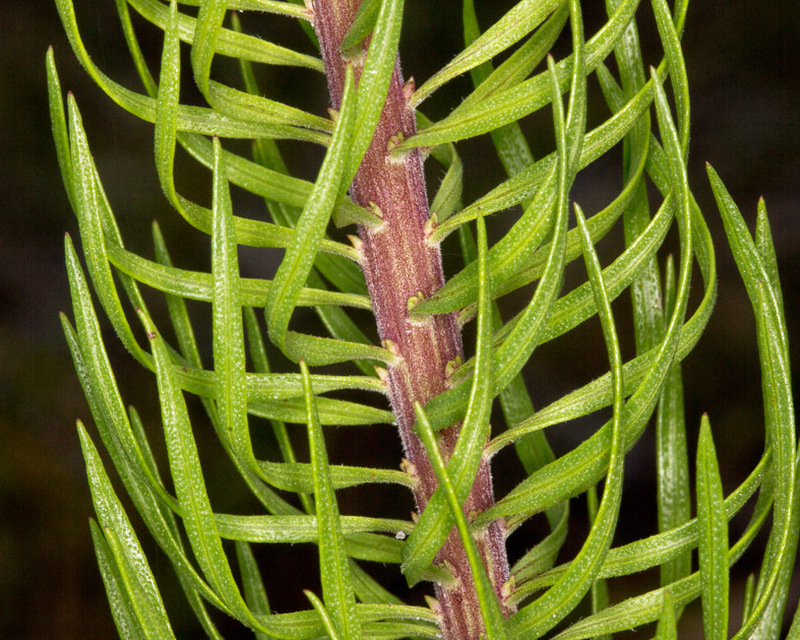 Look for an ocrea (collar just above points of leaf attachment). Yellow spaghetti. 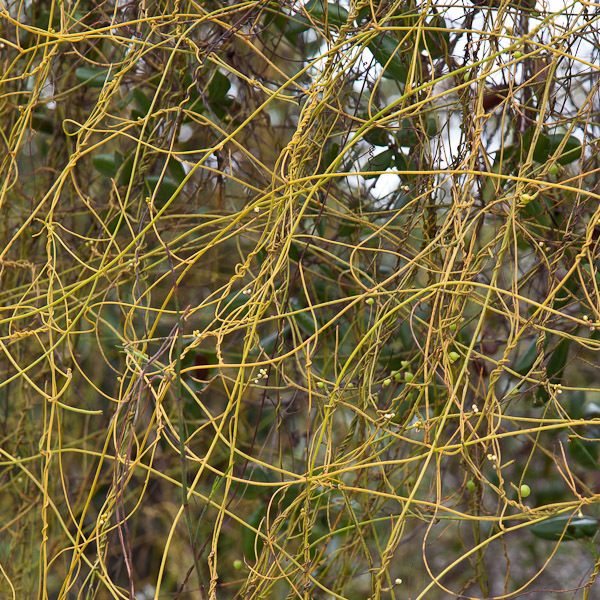 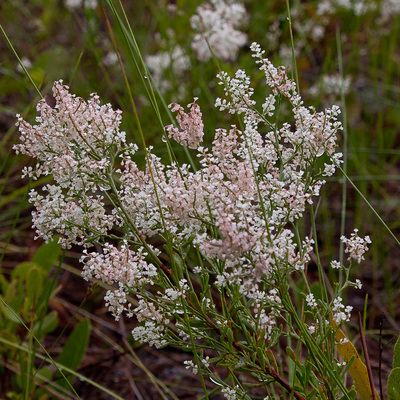 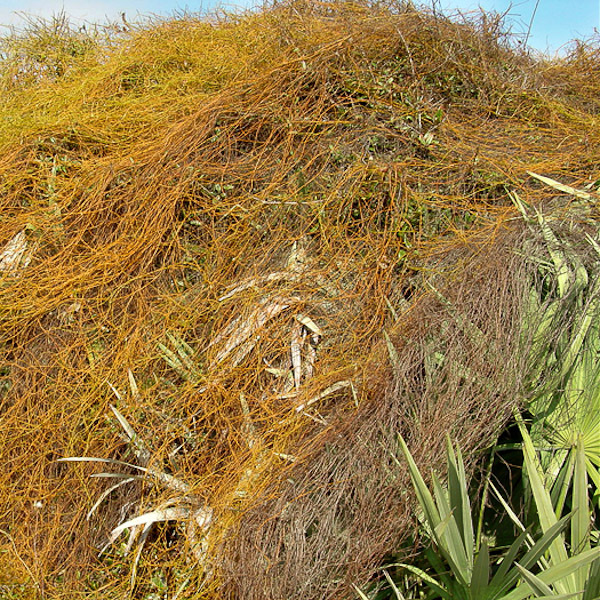 Dodder is similar but uncommon, with a dry fruit.